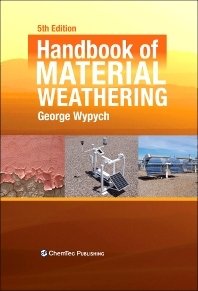 The fifth edition of this seminal work provides comprehensive and current information on material weathering for over forty families of polymers. It presents discussions on formulating mechanisms of degradation, effect of thermal processes, present characteristic changes in properties, and tables of available numerical data. This single source reference will dramatically reduce the time used searching for answers in many different sources. This book is an important reference monograph for those involved in studying material durability, producing materials for outdoor use and actinic exposure, research chemists in the photochemistry field, chemists and material scientists designing new materials, users of manufactured products, those who control the quality of manufactured products, and students who want to apply their knowledge to real materials. Chemists and materials scientists designing new materials, research chemists, mechanical engineers, anyone concerned with material durability, from those who design products to those who use them.